As a former prosecutor with the US Army JAG Corps and the US Attorney’s Office, Attorney Calcagni is well versed in the prosecution and defense of all types of military criminal cases. This experience is invaluable in his ability to defend accused individuals on trial in Military Court for all types of crimes. Judge Advocate General, or JAG, is a term used to describe members of the military’s legal branch. Military lawyers who serve in this branch of the legal system are called JAGs as well. When member’s of the armed forces is accused of a crime, or disciplinary charges are levied against them, they will need the assistance of an attorney with a military criminal law background. Former military lawyers and prosecutors who have experienced many facets of the military justice system make the best choices for military defense attorneys on the civilian side. 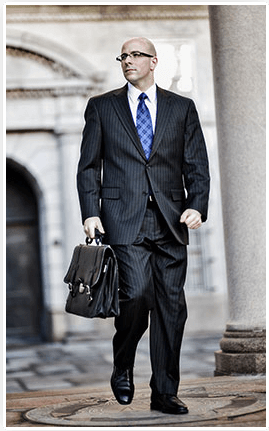 Because they are well versed in the procedures, policies, and customs of the military justice system, a former JAG attorney will provide you with the best possible legal representation available from any civilian attorney. In most cases, the military will provide you with one free legal counselor, typically new to litigation and just finishing law school. While this is not a determination of competence, it is important that you be comfortable with your attorney. Remember to ask your military attorney about their credentials, experience, and case history. After interviewing your assigned JAG counsel, if you are not satisfied with their responses or do not feel comfortable with their level of expertise, contact an experienced civilian military defense attorney for more information about what you will need to expect in terms of your individual case. When you begin to search for a competent civilian attorney to defend your military case, it is imperative that they have former JAG experience. Everything about the military justice system, from the offenses and punishments, to the rules of procedure and evidence, is different from that of the civilian criminal justice system. While the criminal justice system on the civilian side uses one code, on the military side, there is the Uniform Code of Military Justice, which sets the entire determination of criminal conduct, establishment of courts, and what procedures will be followed. The difference between an administrative discharge and a punitive discharge or dismissal for instance, is that an administrative discharge is a separation from duty that can be carried out by a commanding officer against a military member for any activity that could be deemed inappropriate for that service member, be it military or civilian activity. Under this type of discharge, a service person can receive either an Honorable, General, or Under Other Than Honorable Conditions service characterization. The determining factor will be how serious the criminal activity or inappropriate conduct was when taken in comparison with the overall service record of the military member. Alternatively, a punitive discharge can only be decided by a court martial. These discharges also have two separate types, Bad Conduct Discharge (BCD), or Dishonorable Discharge (DD). A BCD can only be adjudged by either a Special Court Martial or a General Court Martial, yet a DD can be decided only at a General Court Martial, and an officer cannot receive either type of discharge. The only equivalent type of charge for officers is called a Dismissal, and they are never heard before a Special Court Martial. There are many other varied and complex procedures and terminology when dealing with military criminal law situations. For this reason, if your attorney has not had exposure to this environment as a former active duty JAG attorney, there is nothing they will be able to accomplish on your behalf. Without this specialized military law background, it would be nearly impossible for them to navigate the military criminal justice system and provide you with any kind of competent defense. If you are a member of the military and have been accused of a crime, speak to your assigned counsel to determine whether you are comfortable with their abilities and interaction. If you are not, finding a qualified and experienced military criminal defense attorney should be the next step you take. Call Military Criminal Defense Lawyer John L. Calcagni III today at 401-351-5100.